1. American Cancer Society: Cancer facts and figures 2003. 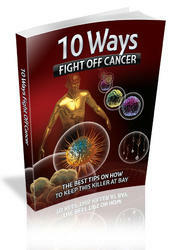 Available at: http://www.cancer.org. Accessed February 23, 2004. 2. Hall MC, Womack S, Sagalowsky AI, et al. Prognostic factors, recurrence, and survival in transitional cell carcinoma of the upper urinary tract: a 30-year experience in 252 patients. Urology 1998; 52:594. 3. Kakizoe T, Fujita J, Murase T, et al. Transitional cell carcinoma of the bladder in patients with renal pelvic and ureteral cancer. J Urol 1980; 124:17. 4. Munoz JJ, Ellison LM. Upper tract urothelial neoplasms: incidence and survival during the last 2 decades. J Urol 2000; 164:1523. 5. Herr HW, Cookson MS, Soloway SM. Upper tract tumors in patients with primary bladder cancer followed for 15 years. J Urol 1996; 156:1286. 6. Huguet-Perez J, Palou J, Millan-Rodriguez F, et al. Upper tract transitional cell carcinoma following cystectomy for bladder cancer. Eur Urol 2001; 40:318. 7. Messing EM. Urothelial tumors of the urinary tract. In: Wein AJ, ed. Campbell's Urology. Vol. 4. 7th ed. Philadelphia: Saunders, 2002:2765-2773. 8. Koga F, Nagamatsu H, Ishimaru H, et al. Risk factors for the development of bladder transitional cell carcinoma following surgery for transitional cell carcinoma of the upper urinary tract. Urol Int 2001; 67:135. 9. McDonald HP, Upchurch WE, Surdevant CE. Nephroureterectomy: a new technique. J Urol 1952; 67:804. 10. Laguna MP, de la Rosette JJ. The endoscopic approach to the distal ureter in nephroureterectomy for upper urinary tract tumor. J Urol 2001; 166:2017. 11. Clayman RV, Kavoussi LR, Figenshau RS, et al. Laparoscopic nephroureterectomy: initial clinical case report. J Laparoendosc Surg 1991; 1:343. 12. McDougall EM, Clayman RV, Elashry O. Laparoscopic nephroureterectomy for upper tract transitional cell cancer: the Washington University experience. J Urol 1995; 154:975. 13. Keeley FX Jr, Tolley DA. Laparoscopic nephroureterectomy: making management of upper-tract transitional-cell carcinoma entirely minimally invasive. J Endourol 1998; 12:139. 14. McNeill SA, Chrisofos M, Tolley DA. The long-term outcome after laparoscopic nephroureterectomy: a comparison with open nephroureterectomy. BJU Int 2000; 86:619. 15. Shalhav AL, Dunn MD, Portis AJ, et al. Laparoscopic nephroureterectomy for upper tract transitional cell cancer: the Washington University experience. J Urol 2000; 163:1100. 16. Jarrett TW, Chan DY, Cadeddu JA, et al. Laparoscopic nephroureterectomy for the treatment of transitional cell carcinoma of the upper urinary tract. Urology 2001; 57:448. 17. Chueh SC, Chen J, Hsu WT, et al. Hand assisted laparoscopic bilateral nephroureterectomy in 1 session without repositioning patients is facilitated by alternating inflation cuffs. J Urol 2002; 167:44. 18. Gill IS, Sung GT, Hobart MG, et al. Laparoscopic radical nephroureterectomy for upper tract transitional cell carcinoma: the Cleveland Clinic experience. J Urol 2000; 164:1513. 19. Goel A, Hemal AK, Gupta NP. Retroperitoneal laparoscopic radical nephrectomy and nephroureterectomy and comparison with open surgery. World J Urol 2002; 20:219. 20. Matsui Y, Ohara H, Ichioka K, et al. Retroperitoneoscopy-assisted total nephroureterectomy for upper urinary tract transitional cell carcinoma. Urology 2002; 60:1010. 21. Yoshino Y, Ono Y, Hattori R, et al. Retroperitoneoscopic nephroureterectomy for transitional cell carcinoma of the renal pelvis and ureter: Nagoya experience. Urology 2003; 61:533. 22. Chen J, Chueh SC, Hsu WT, et al. Modified approach of hand-assisted laparoscopic nephroureterectomy for transitional cell carcinoma of the upper urinary tract. Urology 2001; 58:930. 23. McGinnis DE, Trabulsi EJ, Gomella LG, et al. Hand-assisted laparoscopic nephroureterectomy: description of technique. Tech Urol 2001; 7:7. 24. Wong C, Leveillee RJ. Hand-assisted laparoscopic nephroureterectomy with cystoscopic en bloc excision of the distal ureter and bladder cuff. J Endourol 2002; 16:329. 25. Stifelman MD, Sosa RE, Andrade A, et al. Hand-assisted laparoscopic nephroureterectomy for the treatment of transitional cell carcinoma of the upper urinary tract. Urology 2000; 56:741. 26. Uozumi J, Fujiyama C, Meiri H, et al. Hand-assisted retroperitoneoscopic nephroureterectomy for upper urinary-tract urothelial tumors. J Endourol 2002; 16:743. 27. Kawauchi A, Fujito A, Ukimura, O, et al. Hand assisted retroperitoneoscopic nephroureterectomy: comparison with the open procedure. J Urol 2003; 169:890. 28. Matin, S. F. Laparoscopic radical nephroureterectomy: current status. BJU Int, In press, 2004. 29. Landman J, Lev RY, Bhayani, S, et al. Comparison of hand assisted and standard laparoscopic radical nephroureterectomy for the management of localized transitional cell carcinoma. J Urol 2002; 167:2387. 30. Baldwin DD, Dunbar JA, Parekh DJ, et al. Single-center comparison of purely laparoscopic, handassisted laparoscopic, and open radical nephrectomy in patients at high anesthetic risk. J Endourol 2003; 17:161. 31. Matin SF, Gill IS. Laparoscopic radical nephrectomy: retroperitoneal versus transperitoneal approach. Curr Urol Rep 2002; 3:164. 32. Desai M, Gill I, Matin S, et al. Retroperitoneal versus transperitoneal laparoscopic radical nephrectomy: prospective randomized comparison. In preparation. 33. Meraney AM, Gill IS. Financial analysis of open versus laparoscopic radical nephrectomy and nephroureterectomy. J Urol 2002; 167:1757. 34. Klingler, HC, Lodde, M., Pycha, A. et al. Modified laparoscopic nephroureterectomy for treatment of upper urinary tract transitional cell cancer is not associated with an increased risk of tumour recurrence. European Urology 2003; 44:442. 35. Matin S, Gill IS. Recurrence and survival following laparoscopic radical nephroureterectomy with various forms of bladder cuff control. J Urol. In press. 36. Steinberg, JR, Matin, S. F. Laparoscopic radical nephroureterectomy: dilemma of the distal ureter. Current Opinion in Urology 2004; 14:61. 37. Abercrombie GF, Eardley I, Payne SR, et al. Modified nephro-ureterectomy. Long-term follow-up with particular reference to subsequent bladder tumours. Br J Urol 1988; 61:198. 38. Palou J, Caparros J, Orsola A, et al. Transurethral resection of the intramural ureter as the first step of nephroureterectomy. J Urol 1995; 154:43. 39. McDonald DF. Intussusception ureterectomy: method of removal of ureteral stump at time of nephrectomy without additional incision. Surg Gynecol Obstetr 1953; 97:565. 40. Clayman RV, Garske GL, Lange PH. Total nephroureterectomy with ureteral intussusception and transurethral ureteral detachment and pull-through. Urology 1983; 21:482. 41. Baughman SM, Sexton W, Bishoff JT. Multiple intravesical linear staples identified during surveillance cystoscopy after laparoscopic nephroureterectomy. Urology 2003; 62:351. 42. Venkatesh R, Rehman J, Lee D, et al. Cell viability within the stapled tissue following laparoscopic tissue stapling in a porcine model. J Urol 2003; 169:150. 43. Gill IS, Soble JJ, Miller SD, et al. A novel technique for management of the en bloc bladder cuff and distal ureter during laparoscopic nephroureterectomy. J Urol 1999; 161:430. 44. Stifelman MD, Hyman MJ, Shichman S, et al. Hand-assisted laparoscopic nephroureterectomy versus open nephroureterectomy for the treatment of transitional-cell carcinoma of the upper urinary tract. J Endourol 2001; 15:391. 45. Strong DW, Pearse HD, Tank ES, et al. The ureteral stump after nephroureterectomy. J Urol 1976; 115:654. 46. Strong DW, Pearse HD. Recurrent urothelial tumors following surgery for transitional cell carcinoma of the upper urinary tract. Cancer 1976; 38:2173. 47. Matsui Y, Ohara H, Ichioka K, et al. Abdominal wall metastasis after retroperitoneoscopic assisted total nephroureterectomy for renal pelvic cancer. J Urol 2004; 171:793. 48. Komatsu H, Tanabe N, Kubodera S, et al. The role of lymphadenectomy in the treatment of transitional cell carcinoma of the upper urinary tract. J Urol 1997; 157:1622. 49. Miyake H, Hara I, Gohji K, et al. The significance of lymphadenectomy in transitional cell carcinoma of the upper urinary tract. Br J Urol 1998; 82:494. 50. Pearlstone DB, Feig BW, Mansfield PF. Port site recurrences after laparoscopy for malignant disease. Semin Surg Oncol 1999; 16:307. 51. Andersen JR, Steven K. Implantation metastasis after laparoscopic biopsy of bladder cancer. J Urol 1995; 153:1047. 52. Hetherington JW, Ewing R, Philp NH. Modified nephroureterectomy: a risk of tumour implantation. Br J Urol 1986; 58:368. 53. Jones DR, Moisey CU. A cautionary tale of the modified "pluck" nephroureterectomy. Br J Urol 1993; 71:486. 54. Arango O, Bielsa O, Carles J, et al. Massive tumor implantation in the endoscopic resected area in modified nephroureterectomy. J Urol 1997; 157:1839. 55. Fernandez Gomez JM, Barmadah SE, Perez Garcia J, et al. Risk of tumor seeding after nephroureterectomy combined with endoscopic resection of the ureteral meatus. Archivos Espanoles de Urologia 1998; 51:829. 56. Ahmed I, Shaikh NA, Kapadia CR. Track recurrence of renal pelvic transitional cell carcinoma after laparoscopic nephrectomy. Br J Urol 1998; 81:319. 57. Ong AM, Bhayani SB, Pavlovich CP. Trocar site recurrence after laparoscopic nephroureterectomy. J Urol 2003; 170:1301. 58. Otani M, Irie S, Tsuji Y. Port site metastasis after laparoscopic nephrectomy: unsuspected transitional cell carcinoma within a tuberculous atrophic kidney. J Urol 1999; 162:486. 59. Stolla V, Rossi D, Bladou F, et al. Subcutaneous metastasis after celioscopic lymphadenectomy for vesical urothelial carcinoma. Eur Urol 1994; 26:342. 60. Altieri V, Darmiento M, DeSio M, et al. Can laparoscopic lymphadenectomy disseminate bladder cancer? Acta Urol Ital 1998; 12:231. 61. Dunn MD, Shalhav AL, McDougall EM, et al. Laparoscopic nephrectomy and nephroureterectomy for renal and upper tract transitional cell cancer. Semin Laparosc Surg 2000; 7:200. 62. Yip SK, Tan YH, Cheng WS. Re: Comparison of hand assisted and standard laparoscopic radical nephroureterectomy for the management of localized transitional cell carcinoma. J Urol 2003; 169:1474. Department of Urology, UCLA Medical School, Los Angeles, California, U.S.A.
Laparoscopic nephroureterectomy is a natural outgrowth of the parent procedure laparoscopic radical nephrectomy. Currently, in practice locations that have the necessary expertise, it is the method of choice for confined tumors of the renal pelvis and ureter. The procedure has not received the same warm embrace as laparoscopic nephrectomy, primarily because of the requirement for complete removal of the ureter with a cuff of bladder. Nonetheless, at our institution, barring any specific contraindications, it is the preferred method of managing these kinds of malignancies. The authors of the chapter discuss the benefits and limitations quite thoroughly. In my view, the primary benefits are the more rapid recovery and return to normal activity and less postoperative pain. We and others have modified the open operation to minimize morbidity. In my experience, unless the tumor is very large and invading outside of the collecting system, blood loss is very minimal, and I doubt that the laparoscopic technique has any significant advantage over the open method in that respect. A small flank incision, combined with a small muscle-splitting or midline suprapubic incision, is often adequate for these tumors. However, even with the modified incisions and modern improved pain management, there is a slightly longer hospitalization and longer interval of disability than one sees with laparo-scopic nephroureterectomy. As nicely discussed in this chapter, the potential "Achilles' heel" of the procedure is the necessity for the removal of the bladder cuff. Many methods have been described. I am very concerned about simply pulling up the bladder and applying a staple line. I have suggested a modification, which is basically the technique I use when performing the open procedure. The ureter is kept under traction and carefully dissected down into the muscle of the bladder until a large funnel-shaped section of the bladder mucosa is free circumferentially. One can then apply a clamp and divide the bladder mucosa with certain removal of not only the ureteral orifice but also of the surrounding bladder mucosa and submucosa. An alternative method is to simply make a small, muscle-splitting, McBurney-type incision for removal of the kidney and dissect the distal ureter through the same incision. Whatever technique is utilized, the laparoscopic nephroureterectomy is only acceptable if it achieves the same cancer control end result as can be achieved by the open technique. Another issue of concern to me is that of the regional lymph node dissection. For renal pelvic tumors on the left side, this is very straightforward and requires only the removal of the hilar and periaortic lymph nodes. However, on the right side, the lymph node drainage of the kidney is such that the nodes behind the cava and in the interaortocaval region are the ones that would be most likely involved. This poses greater technical difficulty for the laparo-scopist. The same concerns exist for tumors in the mid or distal ureters, because the adjacent lymph nodes should be excised. Certainly, node dissection is only important in patients with high-grade or large invasive tumors. Tumors that seem to invade through the renal pelvis or the ureter still may be managed best by the open technique, which would allow for more extensive dissection and frozen-section monitoring. However, as the laparoscopic surgeons gain more skill, they may indeed be able to manage such patients with equal success as the traditional surgeon. As for the future, some consensus has to be reached about the most appropriate methods for managing the distal ureter and its insertion into the bladder. Those techniques that assure complete removal of the ureter, including the orifice and a cuff of bladder, should be adopted, and the others should be abandoned. The issue of lymph node dissection must be confronted. The development of more sensitive and accurate radiolabeling imaging techniques may resolve this issue for us. Until then, the laparoscopic surgeon must be willing to perform appropriate staging, regional lymph node dissection for patients with high-grade tumors. Admittedly, the value of modern adjuvant chemotherapy in these circumstances has not been clearly defined, but knowledge of the lymph node status gives the urologic oncologist valuable information for making that decision. Large, high-grade lesions, which may invade through the ureter or collecting system, should probably still be managed by the open technique, because inadvertent spillage of tumor in these patients can result in local recurrence. Laparoscopic nephroureterectomy has already largely replaced the open technique in most institutions. It is the method of choice for patients in whom there is no contraindication, and who harbor tumors that are amenable to the laparoscopic approach.